Practice the questions given in the worksheet on multiplication table of 11. The questions are based on finding the product using the multiplication table of 11. 1. Count forward by 11’s from 11 to 220. 2. Count backwards by 11’s from 220 to 11. 4. Find each product using above multiplication table of 11. 5. There are 7 butterflies in each row. How many butterflies are there in 11 rows? 6. Sam bought 5 packets of popcorn at 11 dollars per packet. How much did Sam pay for these packets of popcorn? 9. (i) What are 11 sevens? (v) What are 9 times 11? 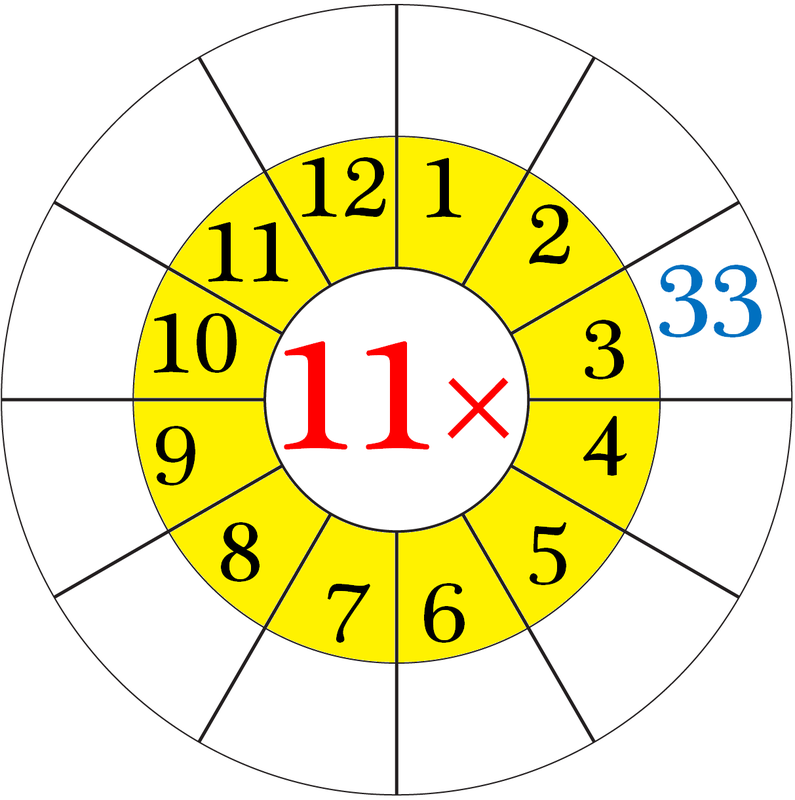 (ix) What is 11 multiplied by 10? (x) 8 multiplied by 11? 10. What does 11 × 9 mean? What number is it equal to? 11. There are 11 bowls with 7 fruits in each bowl. How many fruits are there in all? 12. How far can you go in 11 hours at 4 kilometres per hour? 13. (i) How many elevens in 44? (ii) How many elevens in 99? (iii) How many elevens in 121? Answers for the worksheet on multiplication table of 11 are given below to check the answers of the above multiplications. 1. 11, 22, 33, 44, 55, 66, 77, 88, 99, 110, 121, 132, 143, 154, 165, 176, 187, 198, 209, 220. 10. 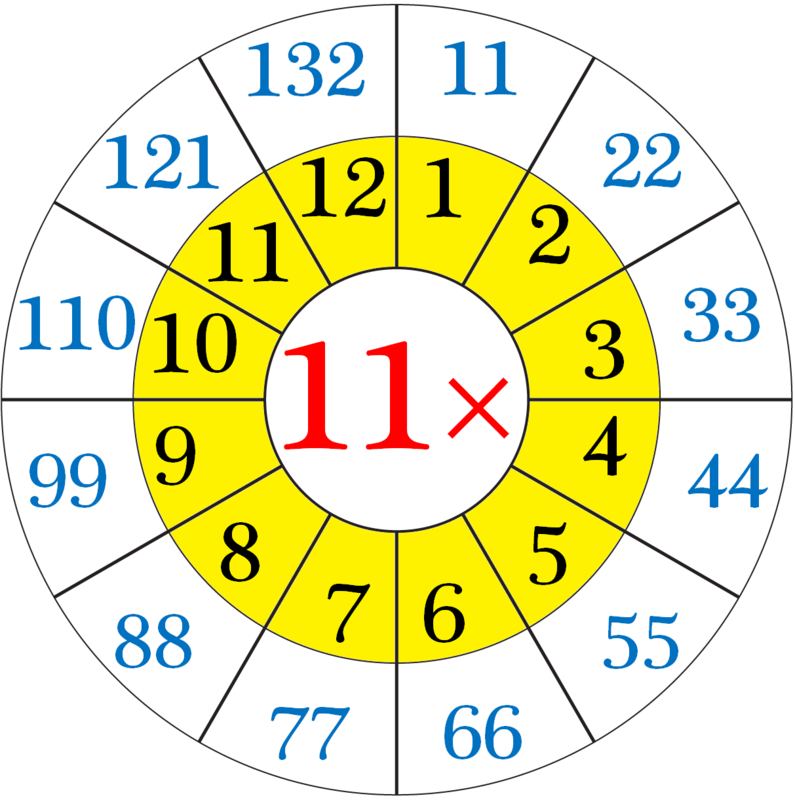 11 × 9 means that the 11 and the 9 are multiplied together or ‘eleven nines’ or ‘eleven times nines’.